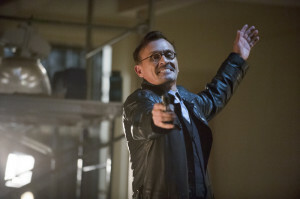 TV Line is at it again with another Flash villain exclusive – Arrow foe The Clock King (William Tockman, as played by Robert Knepper) will be appearing in episode 7 on Flash, teaming up with an as-yet-unrevealed new enemy for the Flash! All this action should come one week before the big Arrow-Flash crossover. Awesome, i wonder who the second villain could be, maybe Trickster? Second villain, my guess, Mirror Master. They’d work perfect together. My guess is boomerang, they seemed to work together frequently on the cartoons over the years.